Seemed pretty counterintuitive to make a healthy salad and then top it with that list of junk. 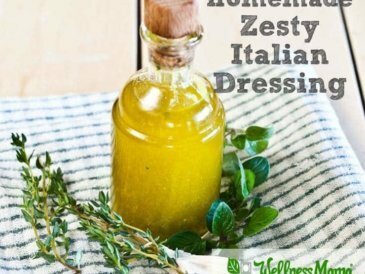 I found a great alternative to regular ranch dressing (here’s the recipe), but I wanted an alternative to the ranch dressing mix I often used on chicken, roasted vegetables, and other dishes. The ingredient list for that one was even more scary than the bottled ranch dressing and I figured I could make a better real food option. This was the result and it is lovely. 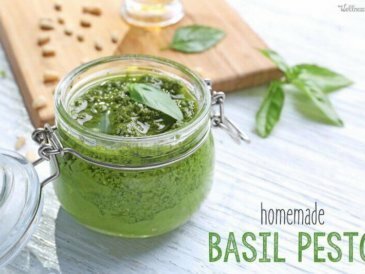 We keep a jar in the cabinet for use on veggies, eggs, chicken, or to make dip. 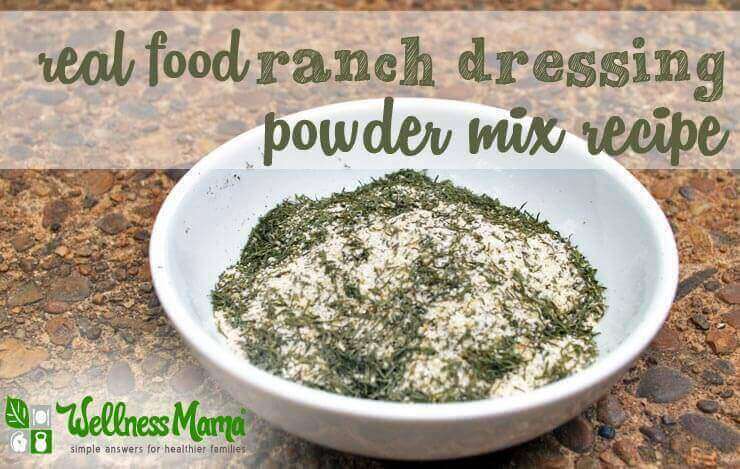 This ranch mix and the ranch dressing are part of our regular meal rotation. 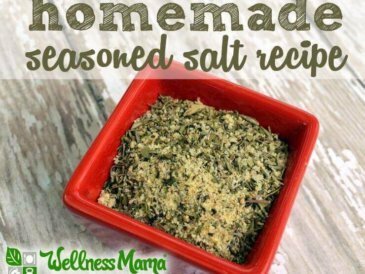 I keep the powder pre-made and always add the other ingredients to my Real Plans Shopping List so I can whip up a quick batch whenever we need it. I’ve noticed that so many things in the world have changed since my childhood, but love of ranch dressing seems to be a consistent part of most childhoods. I just love that I can give my kids a healthier (and more delicious) version these days! 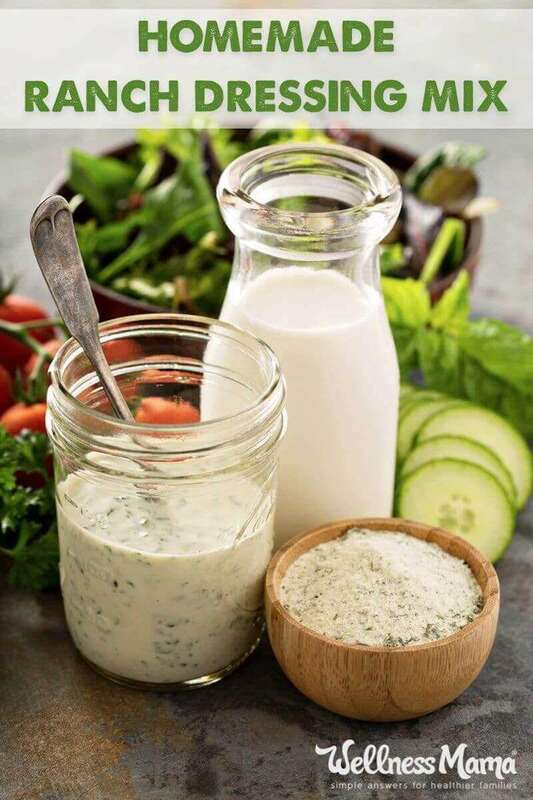 Homemade dry ranch dressing mix to use in place of store bought ranch packets in dips, meat dishes, and on roasted vegetables. 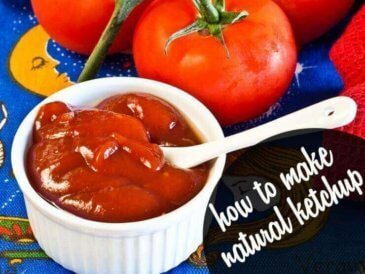 Combine all ingredients in jar and shake to mix. 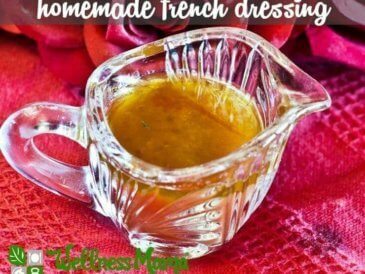 To make into ranch dressing, mix 1 tablespoon of this mix with 1/3 cup homemade mayo or Greek yogurt and ¼ cup coconut milk. 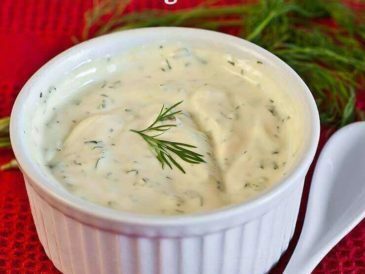 I never thought I could give up ranch dressing (or thought I would want to), but I now like the real food version much better. What I thought was going to be one of the worst/toughest parts of switching to healthy, real food actually became one of the best.